During 01.09.2015 - 31.08.2022 CCHT research and development activities are co-funded by the European Regional Development Fund with 6 916 472.93 Euros. The entire budget for EU48695 is 12 097 479,62 Euros. With CCHT project we advance reliable, safe, and cost­ effective technologies enabling societies worldwide to tackle challenges like the rising incidence of cancers, complex diseases and infertility. The scope of our activities involves the development of genome­based personalised­level preventive, diagnostic and therapeutic tools, as recommendations, for addressing complex diseases and cancers, and devising novel cancer treatment drugs and delivery systems, as well as production technologies for diagnostic and therapeutic recombinant proteins. In infertility treatment, we aim on providing better solutions for infertile couples that need medical help in order to have children, in the form of more precise diagnostic and treatment solutions. 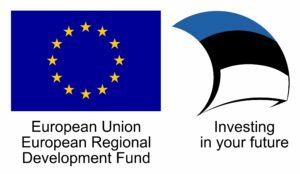 For an overview of the frame programme for Competence Centres by Enterprise Estonia, please see here. Tervisetehnoloogiate Arenduskeskus AS is a member of Connected Health Cluster. 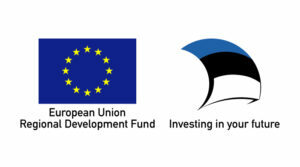 Connected Health Cluster is a country-wide partnership between health-related stakeholders in Estonia, who are committed to accelerating the adoption of connected health solutions, on an international scale and on commercial terms. The development programme of clusters are financed by the European Regional Development Fund.